This is Celia. She is a much-loved baby in our home. She was a gift for Lydia's first Christmas. She also has c-r-a-z-y hair. I have tried to comb it, and had very little luck making her look presentable. Lydia says she's just a "rock star." Apparently, rock stars have crazy hair. 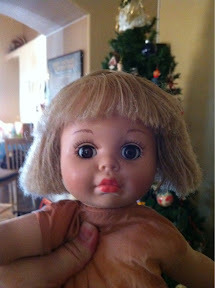 I saw a post on Pinterest about rescuing doll hair. 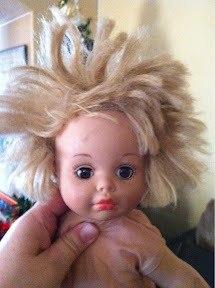 It was recommended to use a Wig Wire Brush and diluted fabric softener to tame doll tresses. I ordered the brush a few weeks ago, but since I switched to the fabric softener granules, I didn't have any liquid fabric softener. Today, I finally remembered to buy a bottle, as well as a small squirt bottle. I did a half and half solution of liquid fabric softener and water and sprayed it on Celia's hair. Then, I started brushing with the wire brush. I ended up wetting her hair pretty thoroughly, but you can see the results below! Next, I'm going to take on some of the Barbies in our house! 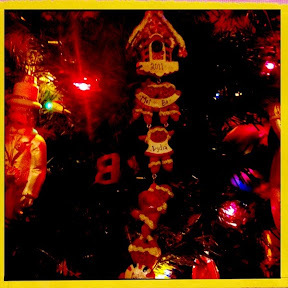 Have you ever hosted a cookie exchange? I confess, they seemed like a lot of work to me! 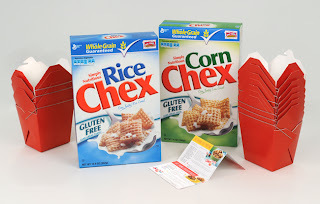 I loved this idea from Chex Cereals, though, to host a Chex Party Mix-Change! I know Chex Mix has been around for many years, but I didn't realize that they have come up with a ton of new recipes using Chex Mix to make fun party food! I was lucky enough to recieve a gift pack with some cereal, as well as new recipes to try out with family and friends. This year, my parents finally moved to Arizona. It's been the first holiday season in over a decade when we've been able to spend it together. This was a fun thing that I could finally include my mom in! 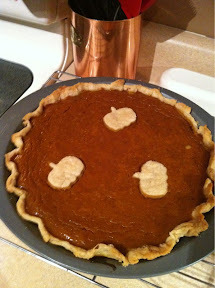 My oldest has loved pumpkin pie since his first taste of pumpkin pie when he was a year old. So, when I saw the Pumpkin Pie Chex Mix, I knew that I had to make it! It takes only 15 minutes to make, and it was yummy!! It will become a holiday staple at our house. If you would like to host your own Chex Party Mix-Change, I have the perfect giveaway for you to enter! You'll receive 2 boxes of Chex cereal, recipes, take-out boxes to send Chex Mix home with your guests and a $20 gift card to buy supplies! You know the drill -- CLICK HERE to jump over to my giveaway form. Enter the necessary information. 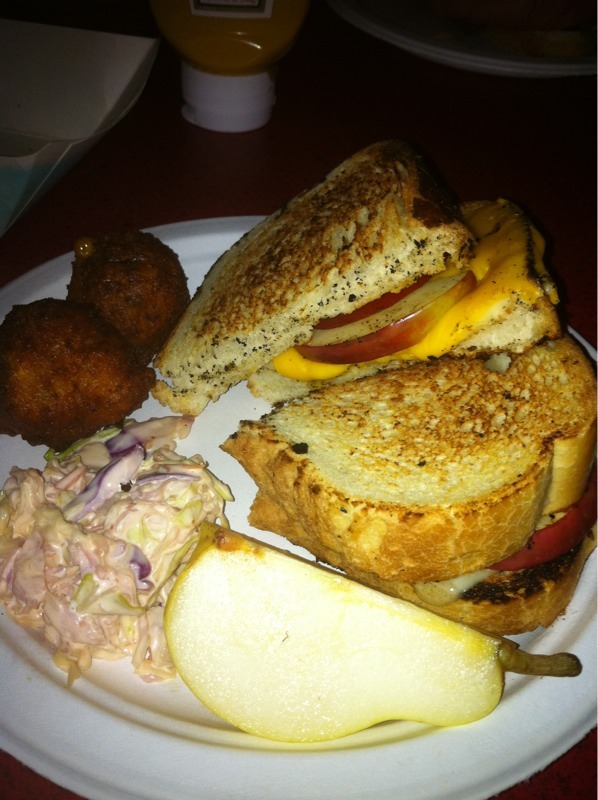 MANDATORY QUESTION: What's your favorite party food? I'll draw a winner on Friday, January 6 from all the entries that followed the instructions. I use random.org to choose a winning entry. Good Luck!! I posted earlier this month that Disney on Ice presents Disney/Pixar's Toy Story 3 was coming to Phoenix next month. I still haven't told the kids we're going, but I DO have a discount code to share with my readers! The deal is 4 tickets for $44 with the code MOMMYDEAL! Valid only on Thursday 7:30 p.m., Friday 10:30 a.m. and 7:30 p.m., Saturday 7:30 p.m. and Sunday 5:30 p.m. for the $14 and $18 tickets. You can get the discount online, at the box office, and over the phone. In the past, some readers have had questions about how to use the code online. Restrictions – no double discounts, not valid on previously purchased tickets or group sales. Additional fees apply. Keep reading! I'll have a giveaway by New Year's for local readers to have a chance to win tickets to opening night!! There's so much excitement surrounding Christmas, I'm not telling the kids yet about Disney on Ice's show that is coming to Phoenix January 18 - 22! BUT, you can bet when the post-holiday blues hit, they will be thrilled to hear that we'll be attending opening night! It's hard to believe that the first Toy Story came out in 1995! 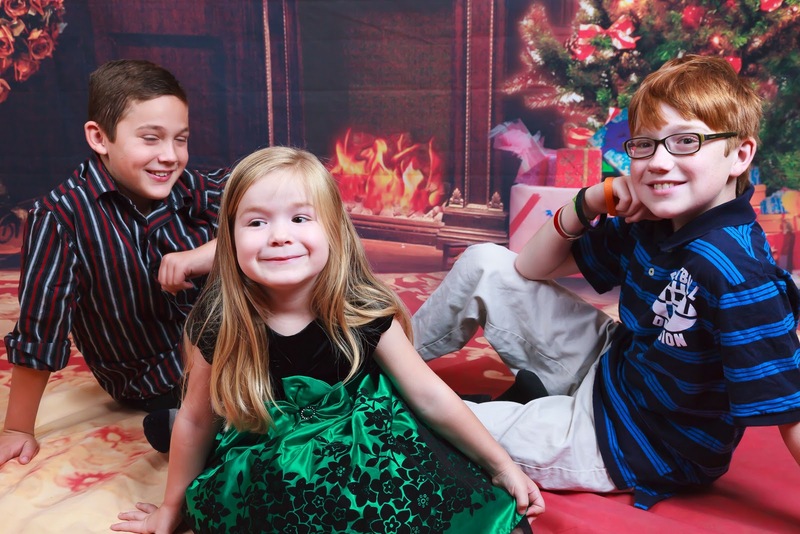 My three kids have enjoyed the movies, and when Toy Story 3 was scheduled to come out in the theaters, Bo took the kids to see Toy Story and Toy Story 2 that were running on the big screen in anticipation of Toy Story 3's release. We have attended a number of Disney on Ice shows over the past few years, and have always had a fantastic time! It seems that each show is better than the last, but I guess the reality is that they are all so unique and well-done that they are very enjoyable on their own. I am eager to see how they will transfer Toy Story 3 onto the ice, and I know the kids will be excited. Tickets went on sale yesterday through Ticketmaster. Opening night is Wednesday, January 18, 2012. The show runs through January 22, 2012 at US Airways Center in Phoenix. For a sneak peek of the show, visit www.disneyonice.com and click on Toy Story 3. Come back in a few days for a special discount code for my readers! Have you visited Punchbowl? It's a website for party planning and e-cards and it is pretty amazing! I have found myself sending out invites for simple things -- just to have the fun of sending them. Their invites are unique, in that they arrive in recipient's emails looking like a snail-mail card, complete with envelope and postage! A click opens the envelope, and the invite appears. Guests can RSVP on the site, and hosts can track responses, as well as receive and send notes. 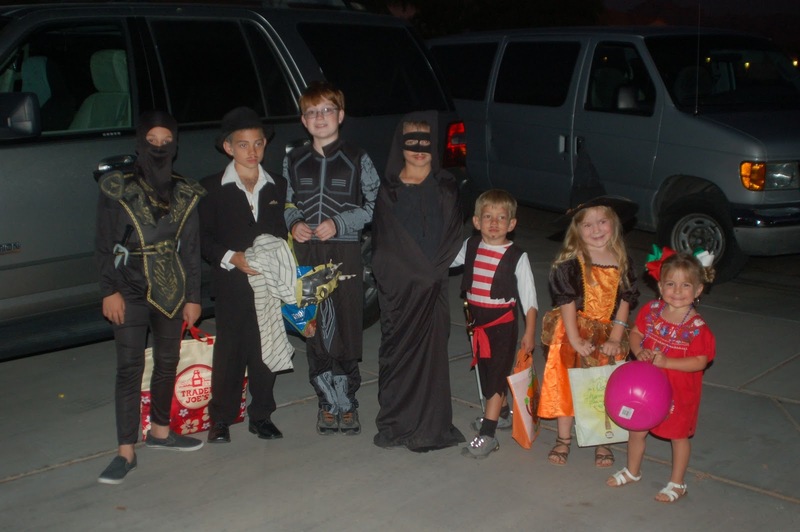 There are tons of themes, perfect for kids or adults. So much of their site is free, but you can also purchase a subscription to access more content. In addition to sending invitations, you can do all your party planning through the site, including finding local vendors. You can also set up email reminders for important events (like birthdays). And, finally, you can send unique and creative e-cards. Another thing I like about the site is that they highlight special days -- like today is National Gazpacho Day! It's a fun addition and while the information is on their home page, they also update their Facebook page with each day's special commemoration. I have had fun playing around their site, and the invitations and cards I've sent have been well-received. I like the convenience of online party planning and RSVP tracking, and the ease of using this site has made it my online party planning choice. I recommend you check it out! And, now, I need to plan some holiday parties. In late September, I heard about NaNoWriMo's Young Writer's Program and thought it might be fun to do with the boys. I contacted Katie Charland, the director at Gangplank to see if she had anything planned. She ran an amazing summer journalism camp for kids as part of her Gangplank, Jr. program and I thought NaNoWriMo would fit right in. She said that she would love it if I would do something! Of course, I couldn't say no. She helped publicize it, and I got the information out in my circle, and in the end we had a small group of young people get together. I was so impressed to hear about their plans for their novels and how ambitious they were when setting word counts. Even Lydia got into it, and was very excited to write her own novel. (It was about a princess who saved a prince, in case you were curious.) Thanks to NaNoWriMo's youth website, the writers were able to update their word count and I was able to watch in amazement at the number of words they were writing. As a group, they wrote over 50,000 words. Pretty amazing for a group of kids ranging in age from 4 to 12! This past Sunday, I got together with them one last time to celebrate their success. The majority of writers met the word count goals they set for themselves, but found that their stories were still not completed. I hope they continue writing and see where their stories end up. I know I am very interested in reading what they came up with. I was very fortunate that Bookmans in Mesa donated gift bags to all the young writers I worked with. They received a great canvas bag, a sticker, a pencil AND a gift card to spend at the store. 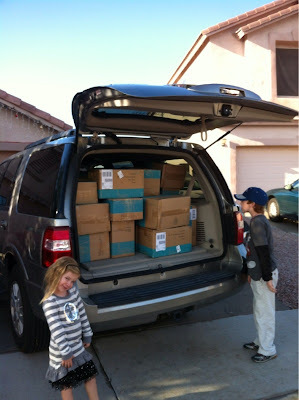 The kids were all very surprised, and very thankful for their generosity. It's a great program, and I do look forward to next year. I didn't meet my personal word count goal, but for the first time trying, I'm not too upset. I'll have a better idea next year and I hope to work with an even larger group of kids. Instead, this year I think I'll talk about the young man he is just this moment. I have fond memories of the past 11 years and I look forward to the future. Right now, though, I want to cherish. Because he will never be 11 years old again. At 11, he loves to read. He prefers fantasy usually, and he especially likes books that come in a series so he can continue reading about the characters book after book after book. That doesn't stop him from reading other types of books, though. He loves Pokemon cards, and recently has started with Redakai cards . He enjoys playing games on his Nintendo DSi, and lately he has been building animations with FlipNotes more than actually playing games on it. He has no care for fashion, or his hair, or anything like that. It never crosses his mind to brush his hair or plan his outfits. He'll take care of these things when prompted, but he really has no interest. He has strong likes and dislikes, and knows his own mind. He is particular about how he likes his food, but mac & cheese remains one of his favorites from when he was tiny. He is a strong student, but I think he finds himself a bit bored this year. I need to help him find something to be passionate about (beyond Pokemon). He loves his family fiercely, and enjoys his friendships. He likes to be around people and is never shy to share his opinions. He has a strong sense of right and wrong. He is extremely sentimental and believes in following family traditions. 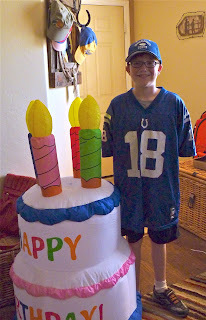 In fact, the picture you see is our traditional birthday picture in this family -- when he was 4 he saw this cake at the store and wanted it desperately. Now, every year, each kid has their picture taken by the inflatable cake. 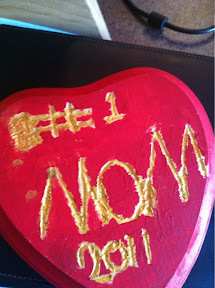 I'm a bit in shock today that I'm the mother of an 11 year old. I always wanted children, and we went through a time when we weren't sure how our family was going to grow. He was a surprise, a blessing, a miracle -- and he continues to surprise me, bless me, and remind me of miracles each and every day. Shutterfly is my go-to photo processing website, and has been for over 10 years. I have never been disappointed with anything purchased from them. I love the cards and photo books I've created there over the years, and I appreciate knowing that they offer free storage of my digital photographs with no strings attached. This year, they have new holiday card designs and I've been trying to figure out which design to choose for our family card. Last year, I sent out Christmas photo cards and then photo "thank you" greeting cards after the holidays! I've chosen a multi-photo style the last few years, and will probably go that route again this year. Not only do I enjoy sending out photo cards, I especially love receiving them! It's fun to see the kids grow over the years, and I like to see the different spin everyone puts on their cards. If you order by November 16, 2011 and use the code CARD40 you can save 40% off your greeting cards at Shutterfly. Don't delay! That's an awesome savings! I have worn glasses (or contacts) since I was 6 years old. I can't see much of anything without corrective lenses, so there's never an option of leaving them behind. As I've gotten older, I find myself needing bifocals in order to continue reading. My last pair of glasses was the least expensive I could buy at the local eyeglass place and I think they set me back about $300 because of the high prescription and the need for bifocals. They also weren't very attractive. Okay, I didn't like them at all. I wear contacts most of the time, but I have a hard time reading with them. I have planned for a while to replace my glasses with a nicer pair. There are lots of choices on their site, even when I narrowed it down to glasses that I could get progressive lenses. I went back a few different times over a couple days to try and decide which pair I wanted to try. I finally narrowed it down to the pair you see above and entered my information. I've ordered glasses online before, and knew that the hardest part was figuring out your PD (pupillary distance). If you google it, there are plenty of sites that help you determine yours, or you can ask your eye doctor to measure it and tell you the number. That number is never included with your prescription. The ordering process was easy. 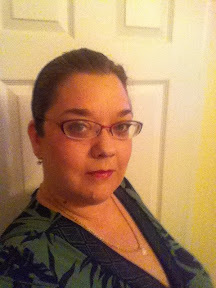 I entered my frame choice, my prescription and my shipping/billing information. Two weeks later, the glasses were in my mailbox. I took them out, tried them on, adjusted the nose piece, put them back on and was very happy! They are so much cuter than my old pair, and I can see out of them perfectly. I ordered progressive lenses and was a little worried about seeing -- but I didn't need to worry. If you need glasses, I would check out 1-800-Specs and look at all the frames they offer! 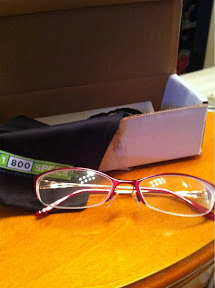 I was very happy with how easy it was to use their site and how quickly my glasses arrived. The quality is better than my last pair of glasses purchased locally, are so much cuter, and cost more than 2/3 less! Since 3 out of 5 of us currently wear glasses, I know I'll be ordering again! It's much easier on our budget than local choices. We were lucky enough to host a HEXBUGS party, thanks to HEXBUG and Mommy Parties. 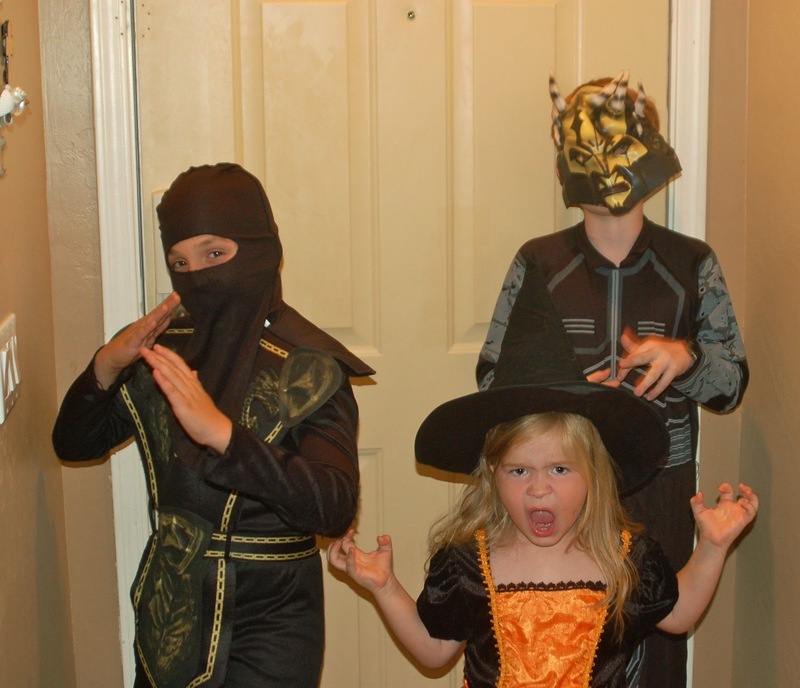 I shared the kids' review video last week, and we shared the goodies with friends on Halloween. 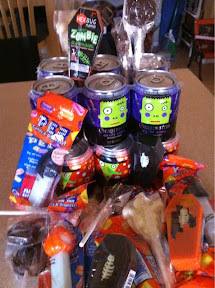 I put together some fun goody bags that included Halloween soda, Halloween Pez containers, chocolate lollipops, and of course the new, limited edition, Hexbug Nano Glow-in-the-Dark Micro-Robotic Creatures . I heard shouts of "All right!" when the boys saw the HEXBUGS in their bags of treats! In addition to the little bugs -- which you can see the youngest of the crowd had a great time racing around on a tray -- we also had Nano Glow in the Dark Habitat / Race Tracks . These tracks glowed in the dark really well ( but didn't photograph well for me) and the kids had a great time watching their bugs whizz around the tracks. I think this set of bugs is even faster than the last ones we had! 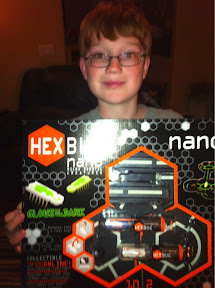 While most of the adults find them a bit creepy, the kids all squeal in delight about the HEXBUGS. 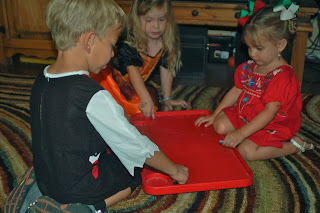 They are definitely a fun toy, and one that all the kids we shared them with agreed are FUN! You can find them at major retailers, including Target, Radio Shack and Amazon. 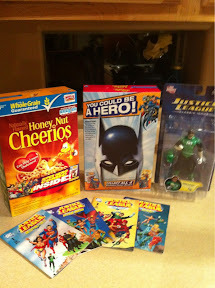 Do your kids love cereal AND comic books? Then I have some wonderful news for you! In select General Mills cereals, you will find one of four collectable DC Super Hero comic books inside, as well as a fun hero mask on the back! Participating cereals include Cinnamon Toast Crunch (17 oz. ), Lucky Charms (16 oz. ), Honey Nut Cheerios (17 oz. ), Trix (14.8 oz. ), Golden Grahams (16 oz. ), Reese’s Puffs(18 oz.) and Cocoa Puffs (16.5 oz.). You will find them at most grocery stores. 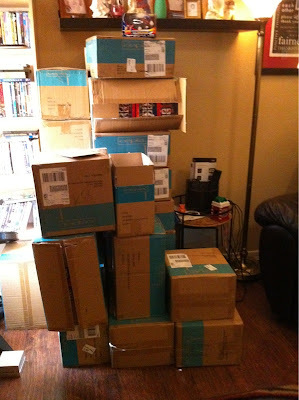 I have a set of comics, plus a box of cereal AND a Green Lantern figurine to give away to one of my readers! My sons were so excited when this box arrived and all 3 of my kids pored over the comic books immediately. MANDATORY QUESTION: Who is your favorite superhero? I will draw the winner next Friday, November 25, 2011. Good Luck!! Since my boys were little, we've been purchasing LeapFrog products. We have been fans of the DVDs, and their educational products for at least 9 years. When we were offered the chance to share some of the latest products with local friends, I couldn't wait for the box to arrive. We received a LeapFrog LeapPad Explorer Learning Tablet that Lydia couldn't wait to get out of the packaging. It took about 30 minutes to get it set up via my computer. We already had an account set up at their site and on my computer because we have a few toys already that incorporate online features. If we didn't have that already, it would have taken about 15 more minutes. I think that's important to know for anybody planning to purchase one for a child, because it's something that should be done before giving it to the child, if at all possible. Once it was set up, Lydia immediately began playing with it. She has used our iPads and iPhones since she was 2, so the concept of a touch screen and navigating apps is pretty easy for her. She began laughing in delight and was thrilled to play with games that were definitely perfect for her. We took it on a road trip, and she played with it during our trip and has continued to keep her interest. There are a number of games available for purchase via the website and retail stores. 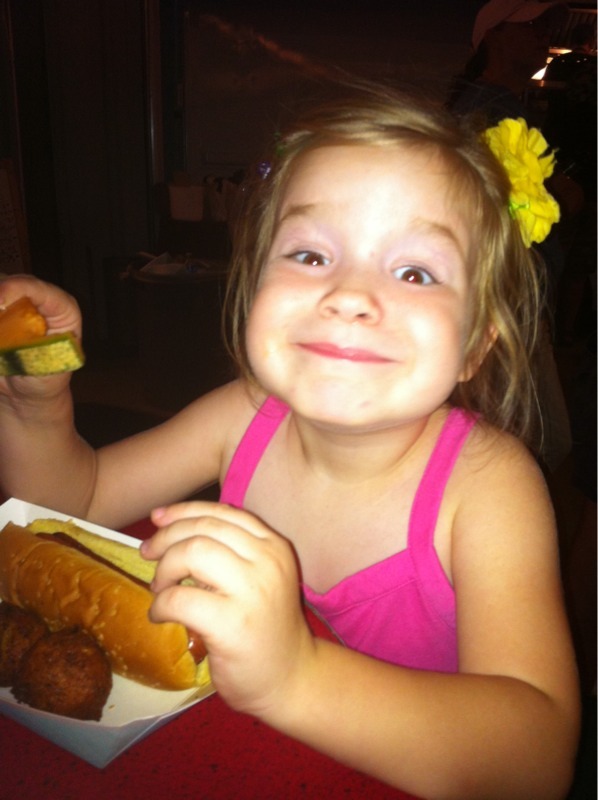 One of Lydia's favorite games right now is a cooking game, that goes along with all the cooking shows we watch on TV. In the box, we also received a LeapFrog TAG Reading System and a set of books, as well as aLeapFrog Tag World Map . I gathered up the toys and headed off to her child care center to let the kids in her class play and observe what they did. All the kids were immediately excited by the Explorer, but the map was a big hit when they realized they had to take turns. We also own the US Map and another LeapFrog TAG Reading System , so I took those along to give the kids more things to play with. They needed only a little guidance in learning how to play with the toys. The toys held their interest the entire time and they were disappointed when I had to pack up and leave. It was a definite success. I have always recommended LeapFrog toys, and I am amazed at how well they continue providing high quality, educational toys that kids truly enjoy. If you're looking for toys this holiday season for the preschool / early elementary kids, I can't recommend LeapFrog toys highly enough. October 22 is International Stuttering Awareness Day. The sweet boy pictured above is the reason I even know such a day exists. Nate stutters. 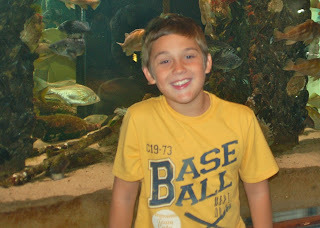 He has stuttered since he was about 3 years old, and has had speech therapy for the last 2 years. His stutter never stops him from communicating with others, or sharing his story. He just keeps trying until he finally is able to get all the words out. Last October, I saw a mention of a "Stuttering Youth Day" at ASU someplace online. I looked into it further, and registered for the event. I had never heard of the National Stuttering Association (NSA) before then, but I wanted to learn more about how to help Nate stop stuttering. I learned so much at that morning event. Most importantly, I learned that the important thing is NOT helping Nate stop stuttering -- but to accept his stutter as an integral part of who he is. I learned about research done about stuttering, and how it is unlike most other speech impediments. I learned that people who stutter make up only about 1% of the population. I learned how much my boy liked listening to others who stutter. That doesn't mean that we don't want to help him learn tools to control his stutter when he makes the choice to do so. Stuttering affects him physically and sometimes is very uncomfortable. Many people don't want to take the time to let him finish his own sentences. Others are just plain rude when he tries to communicate. But, we acknowledge that he will probably always stutter. And, that's okay! Learning about the NSA, and the local kids chapter in our area, has made a huge difference in how we think about stuttering, and what we know about stuttering. We happily attended events locally, and then made the effort to attend the National Conference over the summer. Nate has now met tons of people who stutter and he is richer because of it. Right now, Nate is struggling mightily with his speech. The speech therapist he had been working with moved to a different school and he's not clicking with the new SLP. He finds it hard to remember to use his tools and his secondary behaviors are very strong these days (physical manifestations of his stutter that cause him to strain his neck and shoulders and bob his head). We can always understand him, but more often he is asking us to order for him at restaurants to avoid the entire situation of trying to order a meal. What I know, though -- thanks to the NSA and all the wonderful people we have met through the NSA -- is that his speech will get better, and maybe even worse. But, there are those who will support him. Help him. Those who are just like him and struggle with fluent speech. He can be in touch with others who truly understand what it's like to stutter. Tomorrow , Nate and I are attending our 2nd Youth Day Event. Nate is looking forward to it, and plans to wear his sea-green shirt (the awareness color for stuttering) We'll both proudly wear our "Stutter Like a Rockstar" bracelets. We'll learn more about stuttering. Meet more people who stutter and those who love those who stutter. Most importantly, we'll be reminded that we are not alone. Click here to read more of my posts about stuttering. Our schedule has filled back up now that school is in session and I'm healthy again! Almost every night finds us with extracurricular activities, and since my 3 kids are all in different activities, it's pretty hectic. We can usually count on Fridays being free for family fun, so I thought this pack I received thanks to BlogSpark, Totino's and Redbox was especially wonderful. 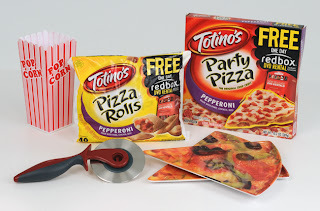 Not only did we receive coupons for wonderful Totino's pizza treats, but we received a coupon for a free movie rental from Redbox AND a couple fun pizza plates, a popcorn box and a fancy pizza cutter. I don't know about you, but I love being able to relax in my living room, surrounded by my family, enjoying snacks and watching a good, family-friendly movie. If you're like me, I'd love for you to enter my giveaway so I can send you the same wonderful prize pack. MANDATORY QUESTION: Which Totino’s pizza variety and movie is your family most looking forward to enjoying on your Fun Friday Night? The giveaway ends October 31, 2011. The winner will be chosen by entering the number of entries into random.org. Good Luck! 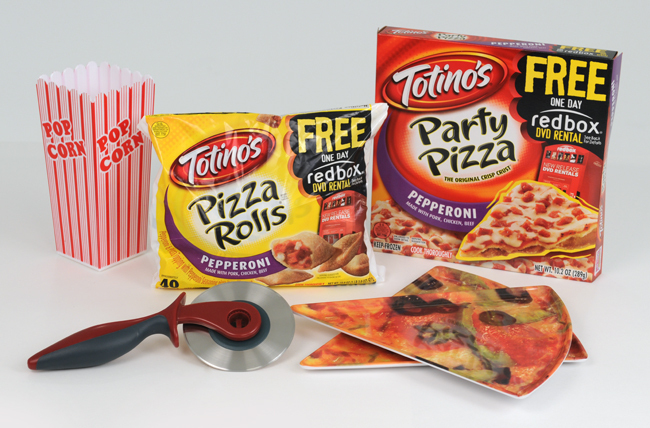 Even if you don't win the giveaway, you can still save with Totino's and Redbox! With more than 27,800 locations, and available nationally at Walmart, there’s always a redbox kiosk nearby! Find the closest redbox kiosk by checking redbox.com/locations. ETA: Winner has been selected and contacted. Thanks for reading!! 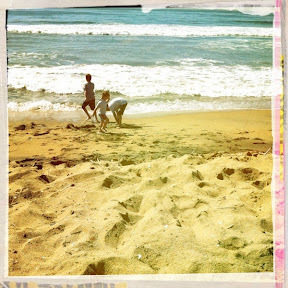 Last week, we were on vacation in California. One of my absolute favorite places to be is the beach -- and since we were able to get away for 10 days, we were able to enjoy visiting new places AND relaxing on the beach for hours. It was a perfect vacation. And when I need to relax, I'll pull up my pictures of the sand and the surf and remember relaxing on the beach watching my kids play. When I opened the box with these cereal boxes inside, Colin's first response was "Why are they sending you cereal?" But, when he pulled them out and caught a look at the Star Wars artwork on the back, he said "Ohhh, cool!!" As you can see, when you get 3 of the specially marked boxes (available exclusively at Wal-Mart), you can have a neat panorama of Star Wars on your counter! You can also hear how disappointed the kids will be when you suggest that the boxes be put away in the pantry! I am excited that I can send one of my readers their own special Star Wars Themed boxes, as well as a $35 gift card to Wal-Mart. My kids were very excited when the latest 9 disc, Blu-Ray release of Star Wars The Complete Saga that was first available for sale September 16. They insisted that we put our gift card towards the purchase of a set for themselves. What do you think you will pick up with yours if you win? MANDATORY QUESTION: What will you pick up with the gift card if you are chosen? The giveaway ends October 26, 2011. The winner will be chosen by entering the number of entries into random.org. Good Luck! This is one of the cows living at Superstition Farm in Mesa. On Thursday evenings, they have a Farmer's Market with fresh produce, local honey (the kids LOVE the honey), grass fed beef, fresh ice cream, and more. When you drive up, you can see the herd of cows. That is one of Lydia's favorite parts of visiting. 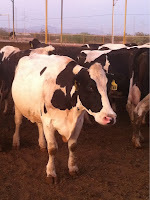 She likes to talk to the cows and was pretty miffed last week when they backed away when she came up to the fence. What made me laugh the hardest, though, was when she noticed the tag on each cow's ear. She turned to me and said "They're all for sale! Mom, can we just buy one?" The farm also has a food truck -- Super Farm Truck -- and we enjoyed dinner last week from the truck. Lydia and Colin enjoyed the kids dog plate, Bo and Nate enjoyed juicy burgers with potato puffs and I had a grilled cheese with apple slices (which usually also has bacon, but they ran out that night). We're happy to support local businesses, and I'm glad they stuck it out through the summer and will continue through the fall season. My boys always insisted they didn't like honey, until they had the raw honey from Made By Bees. I'm glad, because honey is the best cure for a sore throat! If you're in the area, I highly recommend checking out the Superstition Farm on Thursday nights. You'll find friendly people, great products, and you can even have dinner. You can find them on the web, or on Facebook. And one last note, I know I missed a bunch of "Tell Me Thursday" posts. Life has been extremely hectic lately, but I'm hoping that it will slow down a little bit and I can keep up with everything. 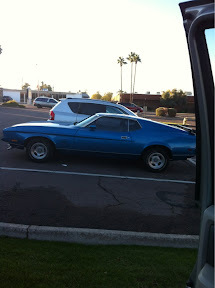 Some of those Wordless Wednesday posts of the past need their stories shared, so I will get to those as soon as I can!